Starting in the small yet vibrant downtown of Prineville the ride follows the Crooked River south out of town giving riders picturesque views of the surrounding llama farms and cattle ranches and then enters the Crooked River Canyon. The road slips through the canyon’s towering basalt cliffs, gently curving and climbing to a scenic view near Palisades Campground before descending back toward the river. 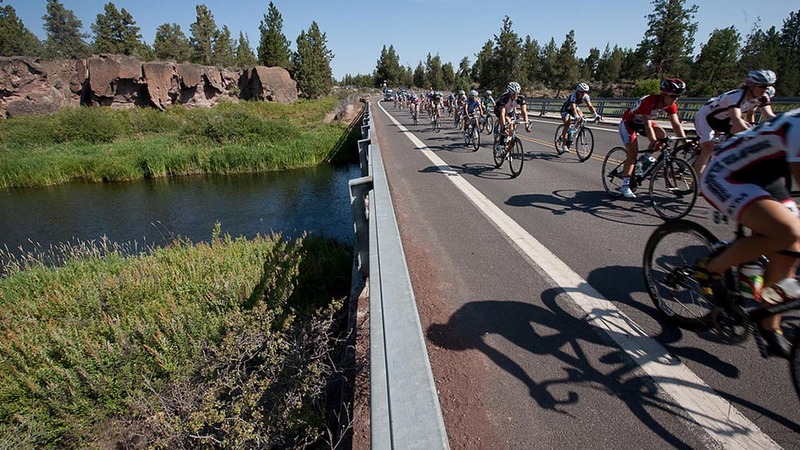 Riders will pedal by Chimney Rock Recreation Site, a popular picnicking spot and fun place to watch local anglers fly fish in the Crooked River. Observant riders might spot resident wildlife like deer, great blue herons and golden eagles.